Most people who live above the Mason-Dixon Line may be unfamiliar with the concept of the house party. 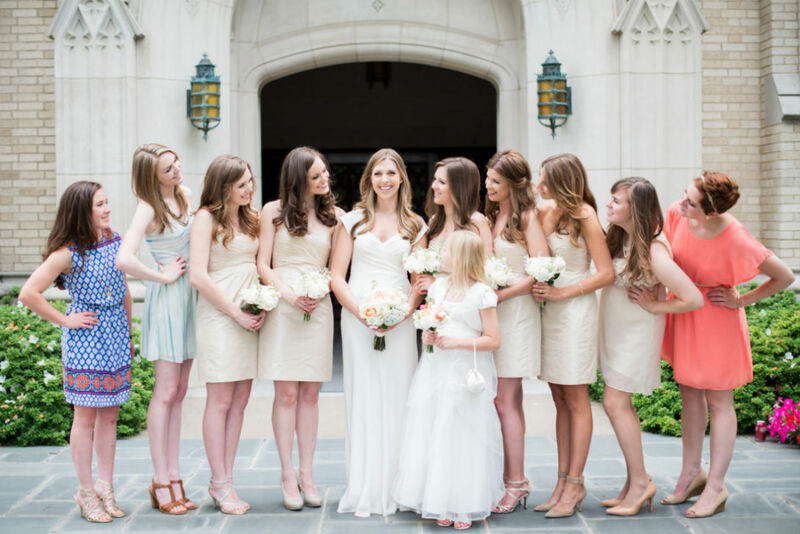 It is a group comprised of people close to the bride who help with wedding to-dos. They attend events such as the rehearsal dinner and bachelorette party, and usually take part in wedding day photos. The girls also help on the wedding day with tasks like handing out programs and attending the guest book. An extension of the bridal party, the house party does everything short of appearing in the ceremony itself. This is where things can get confusing for Midwesterners. If the group is practially in the wedding party, why aren't they actually in the wedding party? As explained by Dallas native Grace Laird, the house party is "A perfect way to include people who are important to you while still keeping the ceremony small. The house party is almost the bride's equivalent to having ushers, they help out and participate in the festivities." In her own wedding this past May, Grace had five bridesmaids to match the number of groomsmen, and another four girls in her house party. While bridesmaids often wear matching dresses, the house party usually wears colors to compliment the scheme, creating a spontaneous, fun and organic feel for photos. "One of my favorite photos from the wedding is of all my bridesmaids and house party--I love the mix of colors and having my best friends in the world all in one picture." If there are near and dear ones that you're dying to include on your big day, we don't see any reason why this time honored tradition can't migrate north.